BIG changes are coming to CMOO! The museum will be closed while we complete our renovations to bring in 10,000 square feet of NEW exhibits! 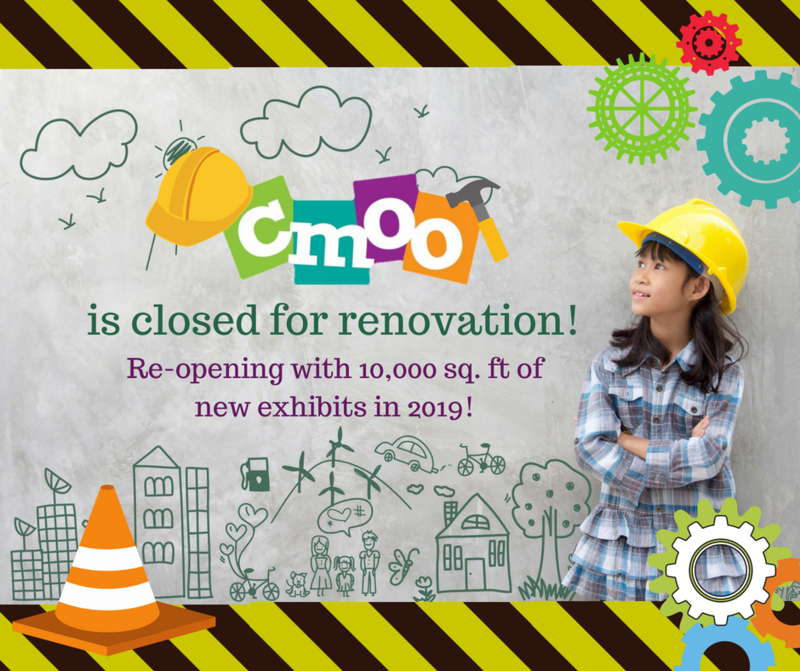 The last day of play at CMOO prior to renovation will be Saturday, June 23. The museum will re-open in 2019 and will be BIGGER and BETTER than ever! Look for CMOO out and about in the community during renovations.